This entry was posted on 13th September 2018 by WoodBlocX. 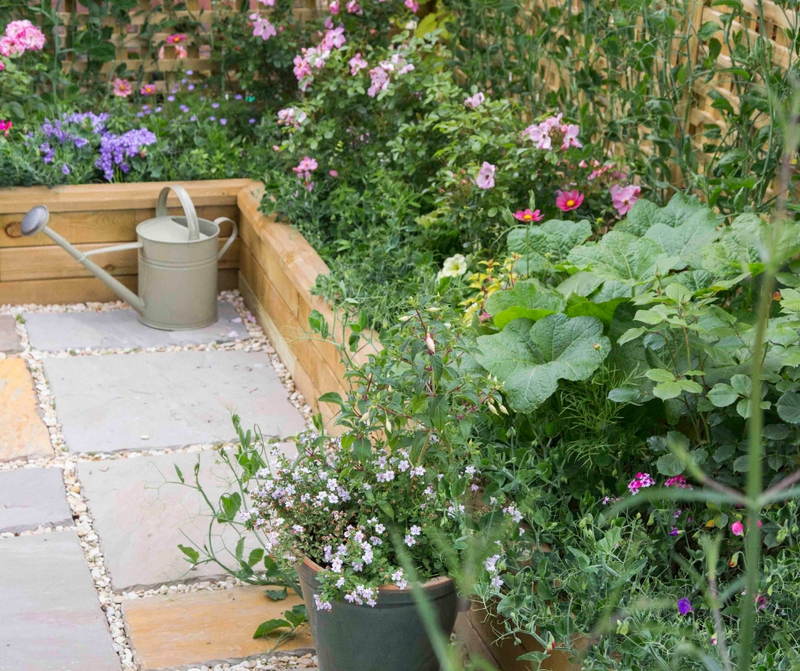 Gardens can present a multitude of problems for people with mobility issues, uneven surfaces, low-level planting and narrow pathways can make getting out and enjoying the garden impossible for some. However, by making a few simple updates and creating a low-maintenance space can make the world of difference. Flat, smooth and debris-free surfaces are a must for anyone with mobility issues, an uneven surface can increase the risk of falls, paved/hard landscaped areas are ideal as grass, mud and gravel surfaces can become dangerous after a spell of wet weather. Ensure fallen leaves and other garden debris is cleared on a regular basis. Pathways need to be wide enough to suit the user. Anyone with back pain will know that ground or low level planting is difficult, kneeling and bending to tend and weed the areas can cause more pain. 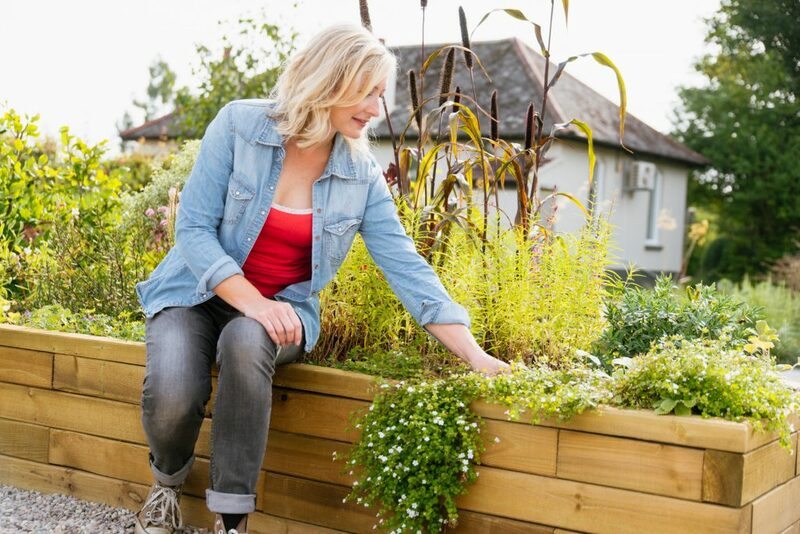 Consider lifting planted areas by installing raised beds. Our hardwearing timber beds can be built to a height to suit you, each structure is hardwearing and sturdy enough to lean or sit on. If mobility is preventing you from venturing right out into the garden, consider installing smaller raised planters close to the house. 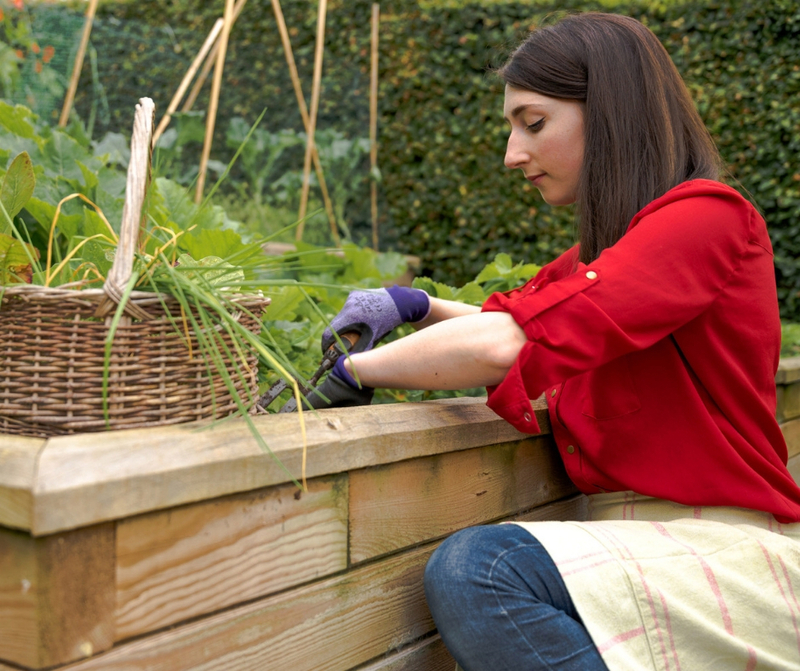 Read about our recommendations for raised bed heights here. 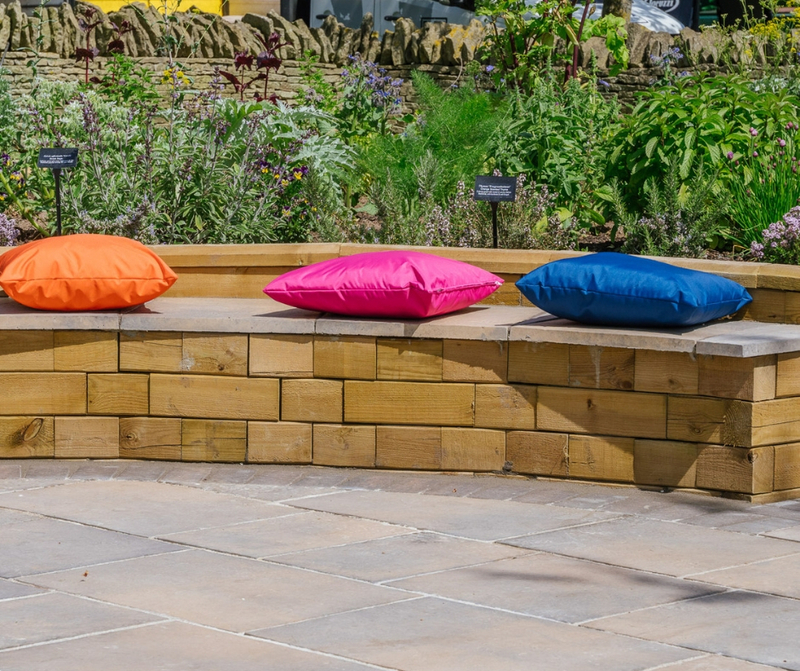 Seating in one form or another is an essential part of any garden, creating an area to sit and enjoy the garden or to take a break from gardening. The positioning of garden furniture is key and of course it needs to be easy to access, if you prefer a sunny spot make sure you note where the sun falls at the time of day that you are most likely to use the space. 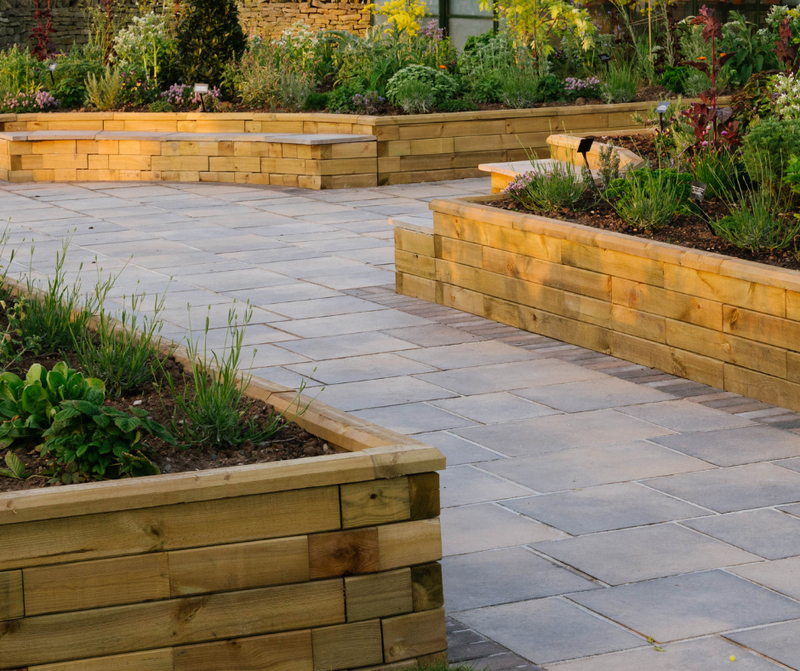 Our timber garden benches and seating can be incorporated into a raised bed design or installed separately. Some sport of storage is a must for all gardens, some traditional sheds can be narrow and difficult to access for storing garden tools, watering cans, hose pipes and other garden essentials, a good option for anyone needing easy access is a lean-to shed that sits directly on the patio with wide double doors which can be opened up taking away the need to step inside. For larger gardens a good irrigation system for the dryer months will not only save lugging a watering can around the garden, it will also save a lot of time too and ideal for dry summer weather.